The Healthcare Industry is in the midst of transformation which is driven by disruptive technologies such as remote patient monitoring, big data analytics and Wireless sensor technology. Given the over whelming role of big data in life science and pharmaceutical industry, today, more number of health care enterprises are embracing Big Data and rapid Operational Analytics to transform their operations. At this juncture, when the entire health care industry is restructuring it self, those who restrict them selves from adapting to these break through technologies or un knowingly pick an inefficient healthcare service provider will fail to gain an edge in the industry. 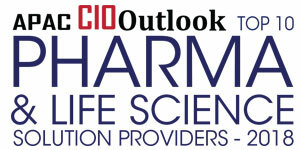 Helping healthcare providers and pharmaceutical companies make the most of technology is CBIG Consulting. Incepted in 2000 and based in Chicago, the company helps customers integrate data across medical systems. After having a successful track record of more than a decade, CBIG Consulting opened its first APAC offices in Singapore and Sydney, Australia in 2013. The company also develops pre-built service modules and tools by incorporating advanced technologies to help the Life Science enterprises reap maximum benefits. It develops an end-to-end solution right from establishing a best-practice infrastructure related to data operations, data acquisition, data quality management (DQM)and exchange with third party partners and other entities. Beside Big Data and Analytical services, CBIG Consulting has the know-how to integrate with pharmaceutical and medical devices to yield increased value from patient level data, price optimization, enhance operational efficiencies, and implement more targeted sales and marketing programs. By exploring abundant yet untapped volumes of data, CBIG is able to understand the needs of ailing patients and providing them with optimal levels of support and care. “CBIG explores data that is otherwise left un-accessed and un-utilized,” states Cameron. In addition, CBIG leverages various IoT based lifestyle technologies to collect information about patients and operational aspects of a hospital. Unlike the traditional healthcare methodologies, CBIG’s Lean Big Data and Lean Operational Analytics solutions presents a fundamentally different way of working with data. The vibrant team of CBIG APAC consists of 60 highly specialized technologists who have in depth expertise in market leading Data Platform and Big Data Analytics Technology. The company presently has offices in Sydney, Singapore, Auckland, London, US, and further plans to expand to Dubai and China by late 2016. “CBIG aims to help its customers become better digital organisations through effective access and use of their data” concludes Price.